Perfect Riders is most suited to perform your bike’s service since they receive dedicated training on YAMAHA’s products regularly. Besides that, we have gained the best experience over the years with YAMAHA products. We also make sure that when your YAMAHA is being serviced, Genuine YAMAHA Parts and Yamalube products are used. Certified Warranty – Our Guarantee! In the unlikely event of your YAMAHA Vehicle requiring warranty service please contact the nearest Perfect Riders centre. 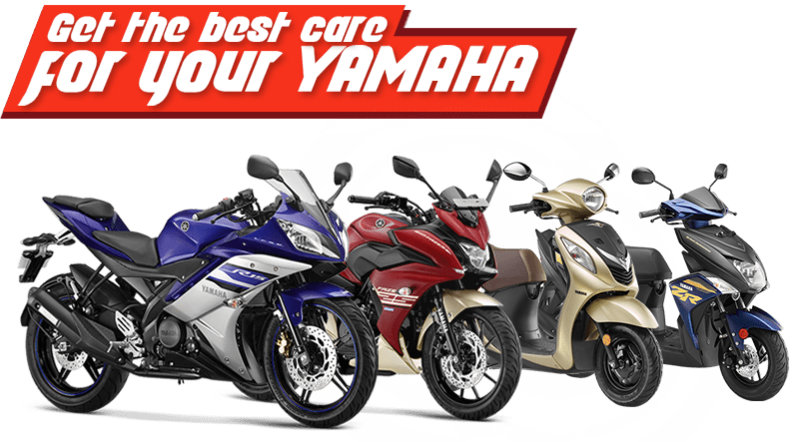 The warranty coverage on the vehicle shall be valid only if the customer has availed all free, paid and bonus services from Authorized YAMAHA dealer as per Recommended Service Schedule. The customer shall ensure that each service is availed in accordance with the instructions mentioned in service and warranty handbook (especially during break-in Period).